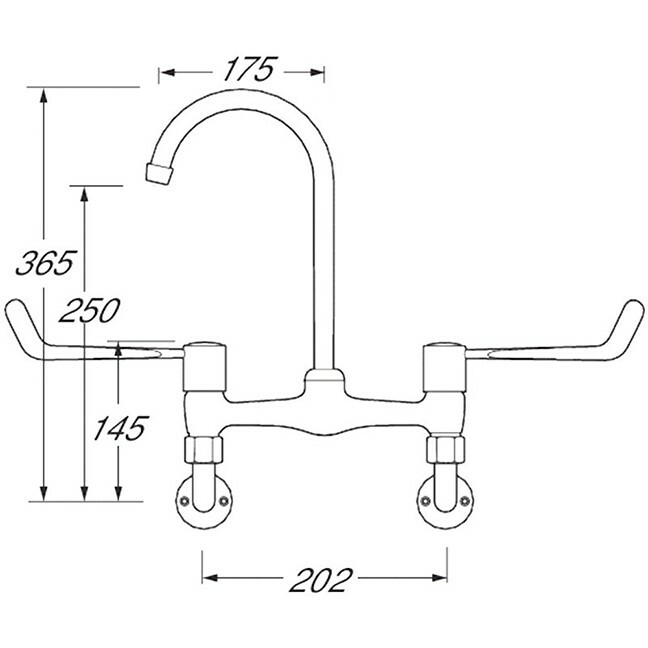 6 inch lever operated bridge sink mixer tap. Designed for areas requiring a high degree of hygiene such as kitchens, hospitals, healthcare and commercial applications. Usually 4 to 6 working days. To see the full range of taps.